Reviewing Confidence Power Trac Motorized Electric Folding Treadmill with 3 Manual Incline Setting (White) is sometimes complicated since my observations may be different from yours. But, generally this treadmill is created to be packed with features and to be affordable. When not in used, you can even store it to a folded position. Thus, it is very practical for every home. More often than not, motorized treadmills are much more expensive than the manual kinds. But, the manufacturer makes it very much affordable compared with other brands with almost similar features. The general notion for motorized treadmills is for it to be heavier, larger and pricier whether it is foldable or not. Confidence Power Trac Motorized Electric Folding Treadmill with 3 Manual Incline Setting (White) is motorized, folding and with incline, as well. Consequently, you may say that you are getting your money’s worth when you buy this walking exercise machine. But, it may also be not true depending on your needs. If the attributes and specifications of this machine suit your necessity, you may conclude that this is for you. One benefit of it being motorized is the reality that you do not need to employ much exertion and leg power when you walk or jog on it. Folding treadmills such as this may help you save on space and provide you ease in storage and moving. The built-in fitness programs provide you patterns in order to get started with your workout and the inclines provide you challenges. With a price of $219.99, Confidence Power Trac Motorized Electric Folding Treadmill with 3 Manual Incline Setting (White) is designed to be affordable and functional. This treadmill provides you with three selections for incline which include 2 degrees, 3.5 degrees, and 5 degrees. The ease in using, four pre-set speeds are provided which you can easily access. The pre-select speed choices include 6.3 mph, 4.9 mph, 3 mph, and 1.86 mph. If you do not want to use the pre-selected speeds, you can choose your own speed. If you are new in the treadmill world, you can make use of the built-in programs for fitness. In this treadmill, there are 12 programs available for you to choose from. Since this treadmill model is foldable, you will not have difficulty storing and moving it. Although not really very troublesome, but you still need to assemble it before you can use it. The parts of this treadmill are not top of the line which means, the belt tends to be unsteady; the machines gets noisy when you reach over 3 kilometers per hour. The plastic bars are somewhat too narrow which makes it unsafe, especially when you are getting off the treadmill. One of the plus factors for this treadmill model is its being compact and foldable. If you have limited space, then this is perfect. You can keep it underneath your bed or your desk. It is uncomplicated to assemble and with only few bolts, you are ready to go. Being inexpensive, this product could be a good choice. But then again, double check the product before purchasing. This treadmill model is probably more ideal for starters and for those who prefer walking than jogging. 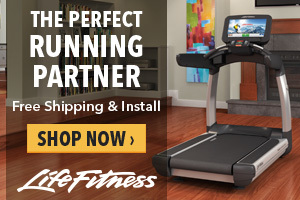 If you are looking for a less pricey treadmill which you can use work simple workout, then this may be a good choice. However, it is highly recommended that you check twice the features and specifications. Also, after checking the specs and features; it is also advisable to try out the treadmill itself. Try to walk on it and even run a little on it to know if you are comfortable. 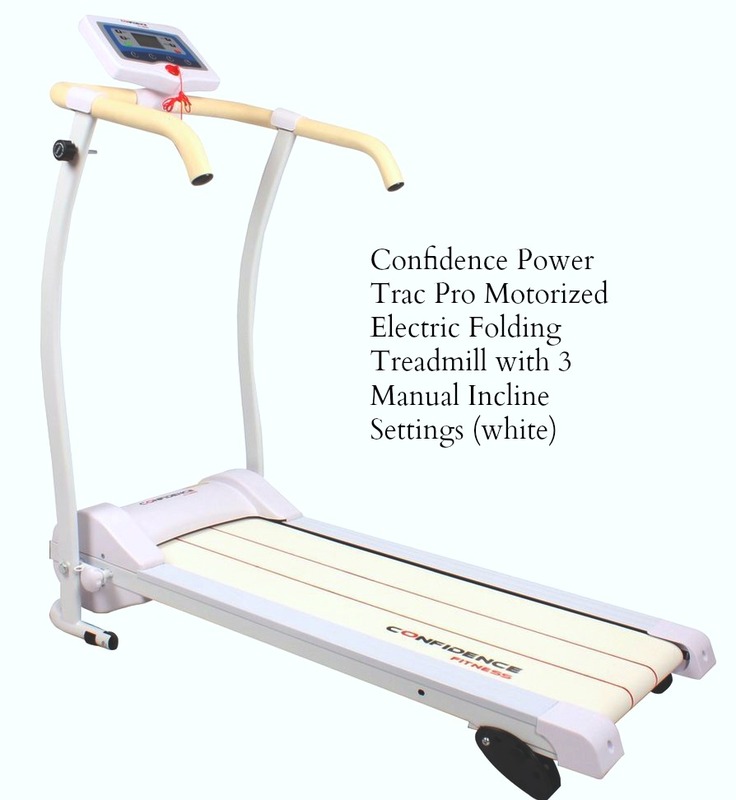 Here is a summary of Confidence Power Trac Motorized Electric Folding Treadmill with 3 Manual Incline Setting (White) features and specifications that may help you learn more about this treadmill. When you fold the treadmill, the measurement would be 10 inches in height, 24 inches in base and 49 inches in length. Upon delivery the weight of this treadmill is 55 pounds, but the actual weight of the product is 52 pounds. Amazon.com sells Confidence Power Trac Motorized Electric Folding Treadmill with 3 Manual Incline Setting (White). But, if you prefer, you can also buy the product from the manufacturer. Actually, this is much better in order to obtain the necessary warranties and guarantees.